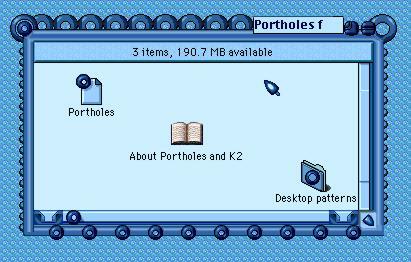 Portholes is a "fun" scheme, with custom folders, trash, cursor, desktop pattern, utility pattern, and windowshade sound, all written *into* the scheme. You select which you want to use. It has holes around the window, in the close box, and even in the cursor, through which you can see the desktop! And it even works!